Emma Funk, the daughter of John William & Lydia Sophia (Miller) Funk, was born in Knox County, MO September 23, 1877 and was raised at Edina. 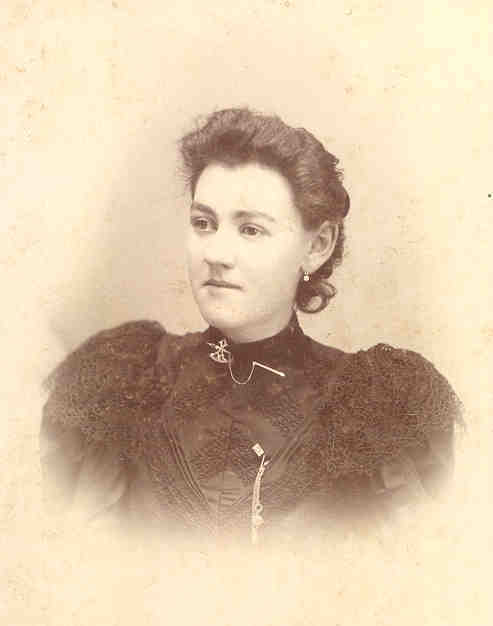 She was married to George L Rieger of Kirksville in 1902 and lived there and in Arkansas after her marriage. She died in Kirksville, March 20, 1957. This beautiful 32 page photo album with a carved ivory cover was originally owned and filled by Miss Funk in the late 1890s. It contains 58 photos, most of which are unidentified, and was the donated to the E M Violette Museum by Emma’s sister-in-law, Mrs Ebbert A (Emma Selby) Funk after her death.